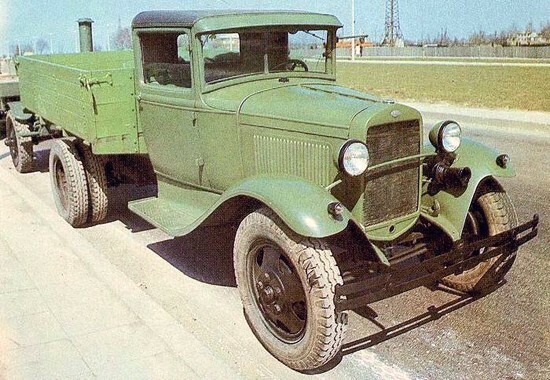 In February of 1930 the first Ford-AA trucks cars were built in Nizhniy Novgorod, from parts shipped in from the USA. In parallel a new automobile plant began to grow and in 1932 was known as GAZ (Gorky Automobile Plant). In January of 1932 the first GAZ-AA truck (a copy of the Ford-AA) was produced in the new plant. 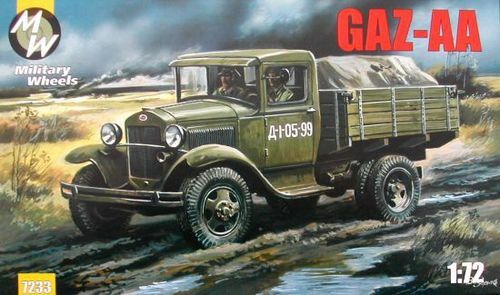 The GAZ-AA became a famous and respected vehicle in the Soviet Union, given the nickname "Polutorka" for its 1.5 tonne cargo capacity ("poltora" means one and half). In 1934 mass production of a copy of the Ford-Timken â€” GAZ-AAA (3-axied modification of the GAZ-AA) was started. This truck was a little heavier than GAZ-M, less speedy, but its load capacity increased from 1,5t to 2t. The model is made the technology "SHORT RUN" and is intended for experienced modelers. Limited edition.